NRP have won a competitive tender to design a Smart Energy Network (SEN) in the City of Perth, Scotland. This will be one of the first projects in the EU to actively develop a local peer-to-peer (P2P) energy trading platform. We believe that these local platforms will be of ever greater importance as the energy market continues to decentralise, and as regulators race to catch up with the smart energy tech revolution, providing opportunities for public or private property owners, to generate savings and realise new income streams. 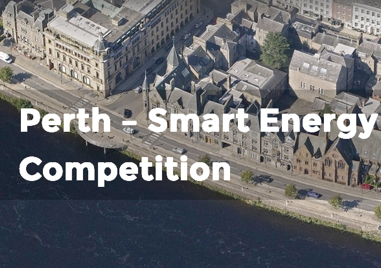 The design of the Perth platform will optimise the use of renewable and smart energy assets; and enable energy trade of energy among buildings in the property portfolio of Perth and Kinross Council (PKC), employing in the process innovative new system integration technologies. PKC is looking to maximise its consumption of the renewable energy it plans to produce itself, and to in due course play an active role in trading energy in wholesale electricity market. Completion of the Design Phase is expected to lead to deployment in 2020. Read more here.